4 Lease 4 Sale, LLC (4Lease4Sale.com) is a Subsidiary of RBI Enterprises, LLC of Broken Arrow, Okla. and is managed by Jeff Filali. Jeff grew up in Tulsa, and resides in Broken Arrow. As a child his grandfather was a real estate developer who built many of the housing communities around Lake Keystone in the 1970’s and early ’80s, and continued building part-time into the 1990’s after retiring. Jeff’s father also owned rental properties in Tulsa during the 1980’s and ’90s. Jeff learned a lot about real estate while helping his grandfather, and father while growing up. After high school, he would start several successful small businesses and in 2015 decided to expand his portfolio back to his roots in the real estate business, and started acquiring properties to rehab, and flip, or hold as rentals, and also has a heart for helping families get out of the renting cycle, and purchase their home through our second chance seller financing program for those who cannot qualify for a traditional mortgage. 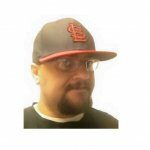 He believes in paying it forward, and donates a lot of his time and money as a volunteer softball coach at both the collegiate level, and running a youth sports organization, and is also involved in a lot of other non-profit causes, and Philanthropy. He has a passion for helping young people get college scholarships, and mentoring young entrepreneurs to help them pursue better futures. He also writes a free online blog, and social media page, to help others learn how to get into the Real Estate Investing business. We Understand Every Homeowners Situation is Unique to Their Family, and We Have the Experience to Offer Many Different Solutions to Be Able to Help Them With The Solution That Best Fits Their Needs, Not Just Ours… Whether is be facing potential Foreclosure due to being behind on your mortgage, or you just Inherited a property that you don’t know what to do with, or were just notified your Job is Relocating you to another city, or your house needs repairs that you cannot afford before you can sell the traditional way, or any other issue… When Others Say NO, We Say YES!! We’re able to pay a premium over most other home buying companies due to the volume of homes we buy, and the amount of work we provide our contractors, they in turn repair the homes we buy at a discount for us. They’re able to offer us substantial discounts due to the volume of work, and this allows us to pass on that savings to homeowners like yourself, and pay you more money for your property and still allows us to make a fair return on our investment capital. Most people aren’t aware there’s even the option to sell their property directly to investors, rather than selling a house themselves FSBO or hiring a real estate agent or broker to sell their home. This option allows homeowners to avoid paying thousands of dollars in additional cost paying agent commissions and closing costs when selling your house. We pay all the fees, closing costs, and there are no commissions. Instead of listing your property on the market and it taking weeks or even several months for an potential buyer to come along, who may or may not be able to get approved to purchase your property, you can get a no-obligation cash offer from us within 24-48 hours! Also, when selling to us, there’s no requirement to do any repairs. We will buy your property in “AS IS” condition. Save your money, we will take care of all the repair needs. 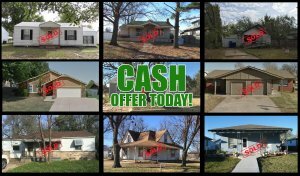 We buy houses fast, for cash in Tulsa, Oklahoma City, & Statewide. If you’re ready to say, “I’m ready to Sell My House Fast”. Just give us a call, or fill out the form and get an offer today. If you’re a Real Estate Investor interested in learning more about opportunities as partners on deals, or want updates on exclusive off-market properties available in your area… fill out the short information form below.